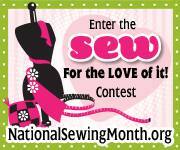 Did you know you can watch full episodes of Nancy Zieman’s Sewing With Nancy shows online? From the Wisconsin PBS Station. Yay public television! Yikes! Where did the time go? Sorry, dear readers, for being so silent on you — but part of the reason that I’m so late about talking about National Craft Month is that I’ve been prowling around other sites looking for ideas to share with you…and before you know it, it’s 2am and I’m too buggy-eyed to write. So, I’m back in the saddle and have several things to share over the next few posts. 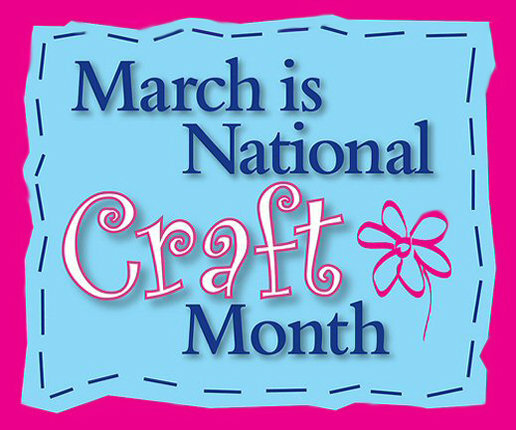 Ok, if you haven’t heard, March is National Craft Month. Some people think of crafts as something less than serious…that’s ok. Why not use this month to explore other types of sewing to add to your repertoire? Free yourself from rules; play a little…or play a lot. If you’re not a quilter, try a quilting technique to add to your next project. Ever made plush food? They can be fun to make as well as calorie-free! Or maybe you’ve been admiring an embellishing technique…give yourself the freedom to explore and play this month! Don’t be afraid. Just try something new. 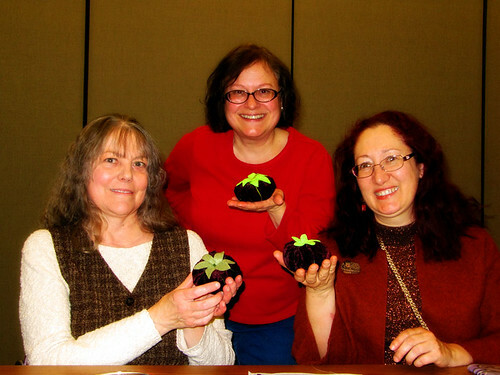 Most of all, making a craft is about having fun! As should sewing be! If you make something, be sure to post it to our Flickr group of Members’ Projects. Or email me a picture and I’ll be sure to post it for you. Maybe you’ve already made something for St. Patrick’s Day? President’s Day Quiz: Which U.S. President Was A Tailor? Answer: Andrew Johnson, our 17th President. At the age of 14, Andrew Johnson’s widowed mother apprenticed the young man to a tailor in order to give him a trade. “Two years after beginning his apprenticeship, Johnson and his friends threw rocks at a tradesman’s house out of mischief. When the occupant of the house threatened to call the police, Johnson left town and abandoned his apprentice work at the tailor shop of John J. Selby. Johnson fled to Carthage, North Carolina sixty miles from Raleigh. He found a market for his tailoring skills in Carthage but moved to Laurens, South Carolina to distance himself further from the trouble in Raleigh. After a year in Laurens, Johnson returned to Raleigh and sought to complete his apprenticeship under John Selby. Selby, however, no longer owned the tailor shop and had no need of an apprentice. With no available employment in Raleigh, Johnson led his mother, brother, and stepfather to Tennessee in 1826. The store, with its original shingle, is now a National Historic Site. 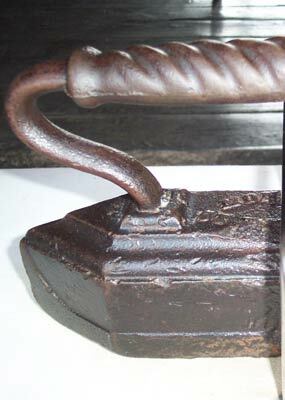 You can try on reproductions of 1800’s and a pick up a heavy “goose” iron, like the ones that Andrew Johnson would have used in his shop. It’s certainly not a Rowenta! I’ve been amazed at not only our presidents’ humble beginnings, but how much sewing-related information can be found at the Presidential National Parks sites. If you didn’t catch it, go to my blog post about Mrs. Truman’s inauguration fashions and read about a few of my finds while in Kansas City. Forgive me for not posting on Valentine’s Day and asking: Did you make anything special for Valentine’s Day? We’d love to see it! Upload a picture on our Members’ Projects album on Flickr. Or, send it to me and I’ll be happy to post it for you. We really want to see what you’re making!